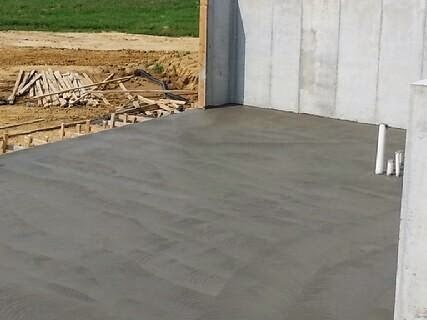 Building Beyeler Hollow: Day 95: Flatwork is In! 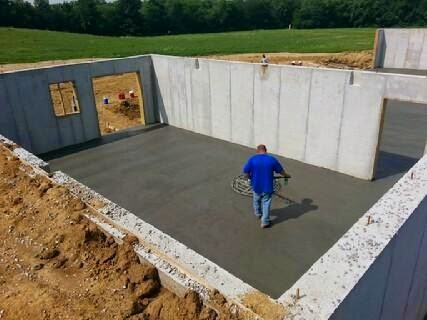 Yesterday I talked with our concrete guy and asked him if we would be pouring concrete today. His response was: "if it's not raining". There was an 80% chance of rain, depending on which weather site you trust. I went to bed praying for a dry day. Fortunately, my prayers were answered. 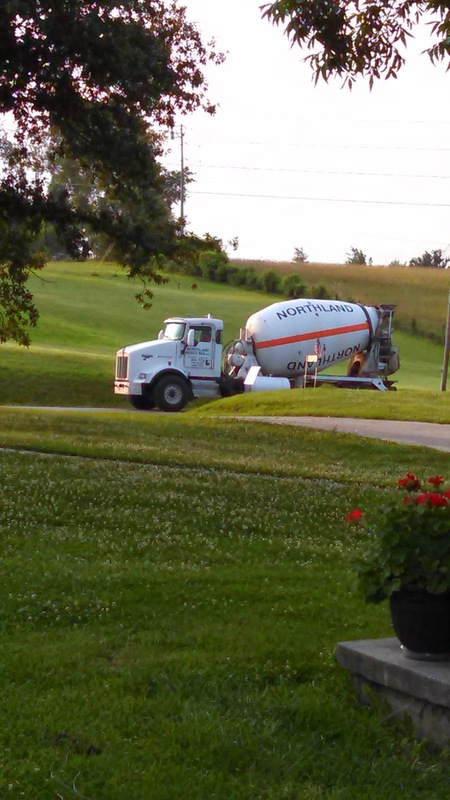 The storm blew south of us and by 7:00 this morning concrete trucks were rolling into our land. They used a pumper truck to get the concrete down into the basement and the areas beneath the suspended garage and safe rooms. 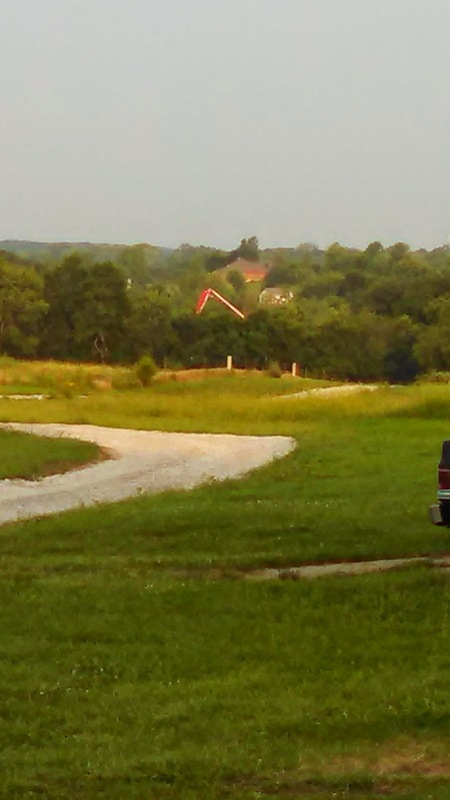 You can see the top of the pumper's boom in the pic below taken from Steve and Kim's house. Kim was milking goats when they showed up, but fortunately wasn't wearing her normal pink pajamas. Then they went on to smooth out the concrete. I haven't seen it yet, so I'm hoping they got it nice and smooth. Steve and Kim were nice enough to snap pictures for me as the work progressed.